Juggling tight deadlines, an office commute, and dealing with day-to-day stressors often has us reaching for unhealthy snacks in the middle of it all. Learn how to get off the stressful eating cycle and live a healthier life. Chronic unrelenting stress, thekind most of us live with every day,often makes us relentlessly hungry.According to Dr. Pamela Peeke, aphysician, scientist, and expert inintegrative and preventive medicine,this is because one of the purposesof cortisol (the stress hormone)is to help your body refuel for thenext emergency. 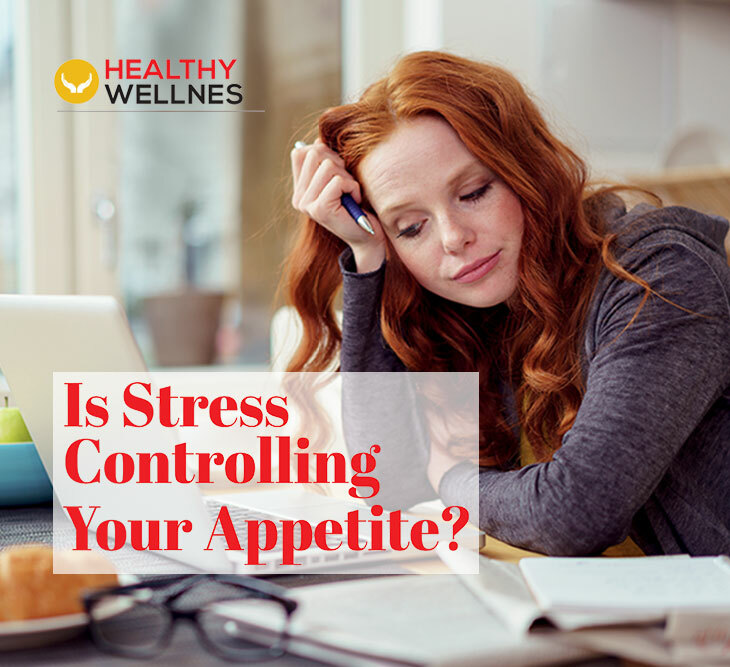 Therefore, whenyour body’s on constant cortisone overload, you eat and the foods you crave when stressed out replenish the calories used up during the stress response. • Start by understanding your situation to analyze what’s causing the stress and why it’s stressful. This is part of the solution to combating stress and overeating. • Get rid of fat habits and adopt new habits as experts say ittakes the brain six to nine months to learn new habits. If you habitually deal with stress cravings by settling in with donuts, acknowledge this and actively work on changing it. • Eat breakfast as studies have shown people who eat cereal for breakfast are less emotionally distressed than non-breakfast eaters. This is because porridge and wholegrain toast are brain foods that help you stay attentive and focused until lunch time. • Hit the treadmill as exercise is one of the best ways to shake off stress. It will give you an endorphin boost to counteract the rise in cortisol levels.